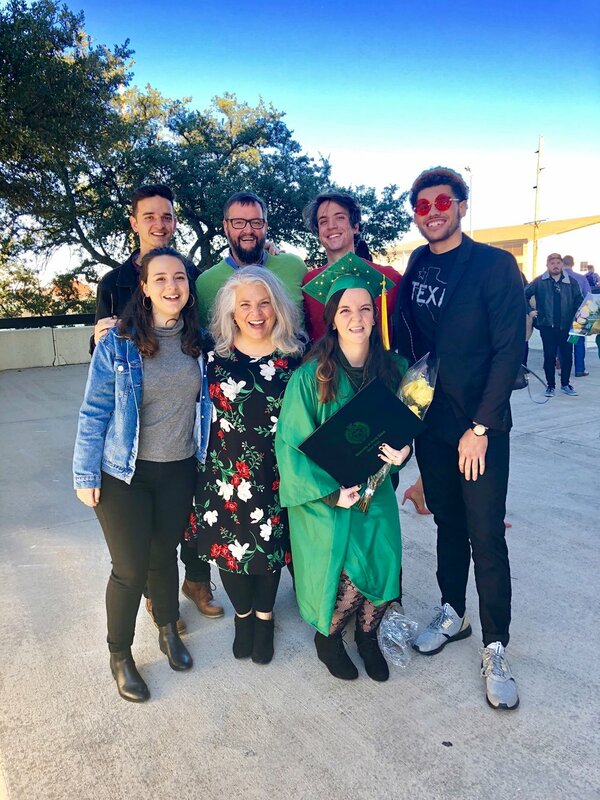 (4) photos from Kendra’s UNT graduation! In mid-December we drove (!) to Denton, TX to celebrate Kendra’s graduation from University of North Texas. We rented a mini-van in order to take Natalie the rest of her belongings we still had stored in a closet and to bring back all of Kendra’s belongings from her college life. I’ve come to understand that about 70 % of parenting is figuring out how to keep track of everyone’s stuff. We rented an Airbnb in Denton so all the kids could crash together with us for the weekend. On Friday we celebrated a belated 21st birthday party with Natalie (more on that another time), on Sunday we celebrated Christmas (another bonus for driving - presents! ), but Saturday was all about KENDRA. 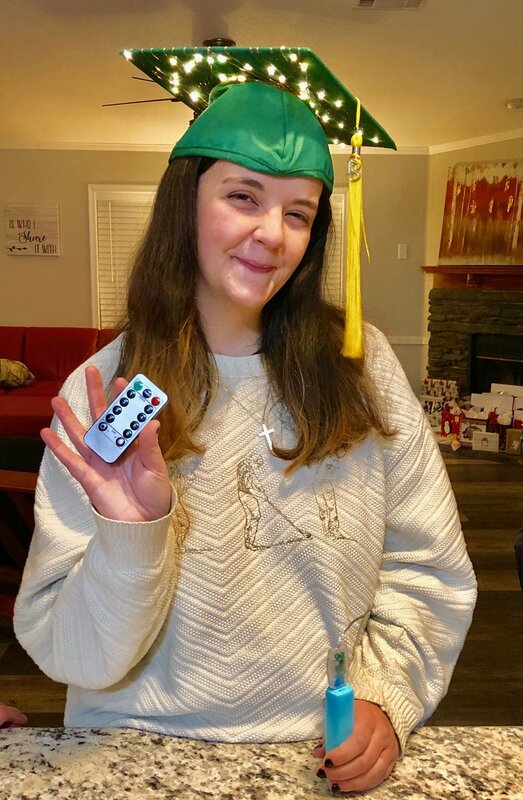 She persevered through some pretty tough circumstances to make it to this day (as do most college students, I imagine) and we wanted her to know we were so proud of her accomplishment. I helped Alex prepare pots of his famous chili recipe so that a bunch of Kendra’s amazing friends from the past four and a half years could come to the rental house and celebrate with us. It was pretty much perfect (including my obligatory ceremonial cry). (6) photos from Christmas in Texas with our kids! We managed to fill the mini-van with presents, some of our Christmas decorations, and some of the pots and pans we use for our favorite traditional recipes. Have Christmas, will travel! Our “Christmas” morning nativity story on the back porch in Texas farmland. One of the favorite gifts for our teacher son who sees Fred Rogers as an icon for the classroom. My friend Jen felted these little HP ornaments FROM SCRATCH to give to our kids. Brian surprised me with the incredibly thoughtful gift of asking our friend Monica to add to the set of Christmas stockings I’ve had since I was a little girl. She also cleaned up the old stockings which were singed in our New Year’s Eve 2002 house fire. Can you tell which stockings are the old ones? Some of our favorite Christmas Eve tastes and smells. This 28-year-old, handmade (by my sister-in-law, JoAnn) Nativity set deserved to be carried along on this Christmas pilgrimage after surviving all those years we’d never heard of unbreakable nativity figurines and let our little kids handle them while we scolded and read them the Bible. Visiting home and enjoying time with my sister and pre-born niece, Ellie. With the increased reading for my spiritual direction certification, my time for other types of reading is more limited. Still I managed to get through a few titles to finish up 2018. Hope you enjoy the micro reviews + publisher blurbs! Let me know if you add anything from this list to your book pile! You can see my 2018 reading list here. | You can see all my reading lists since 2006 here. "The first novel in ten years from award-winning, million-copy bestselling author Leif Enger, Virgil Wander is an enchanting and timeless all-American story that follows the inhabitants of a small Midwestern town in their quest to revive its flagging heart. With intelligent humor and captivating whimsy, Leif Enger conjures a remarkable portrait of a region and its residents, who, for reasons of choice or circumstance, never made it out of their defunct industrial district. Carried aloft by quotidian pleasures including movies, fishing, necking in parked cars, playing baseball and falling in love, Virgil Wander is a swift, full journey into the heart and heartache of an often overlooked American Upper Midwest by a “formidably gifted” (Chicago Tribune) master storyteller." After a decade of no new work, I was eager to read anything Leif Enger’s written. I was delighted that it was this book. I’m not sure anything will ever match my love for Enger’s Peace Like A River, but Virgil Wander delivered a cast of characters I enjoyed meeting in a setting I loved. A few times I got caught imagining everyone as if they were the cast of The Majestic (starring Jim Carrey) because there are a couple of uncanny similarities in the plot. By the end of the story, though, I was fully living the kite-flying, beachcombing life on the shore of Lake Superior. ﻿“The publication of this extraordinary volume firmly established Flannery O'Connor's monumental contribution to American fiction. There are thirty-one stories here in all, including twelve that do not appear in the only two story collections O'Connor put together in her short lifetime--Everything That Rises Must Converge and A Good Man Is Hard to Find. My loyalty to Ms. O’Connor has faltered a few times in the current revelations of white supremacy stubbornly cloistered in the Church. After assigning our church’s reading group read this title for Ordinary Time, Brian and I started re-reading the stories out loud to each other. The impact of hearing our own voices repeating the “N” word which takes up so much word count in Flannery O’Connor’s short stories felt something like hearing myself shout “Crucify Him!” in the public recitation of the Passion accounts during Holy Week each year. In that light, we found value in placing ourselves in the role of the shameless racism of so many of O’Connor’s characters. After all, “we and our fathers have sinned” and there’s a backwards kind of kindness in the relentless monstrosity of these characters and stories. After reading her work yet again, I still see the brilliance in her refusal to paint even a single sentence with sentimentality and pray for eyes to see within my own self the seeds of self-righteous monstrosity steering the truest so many antagonists written in her stories. “This version of Charles Dickens's A Christmas Carol, masterfully narrated by Tim Curry, was available for a limited time last year, and now it's back. This one-of-a-kind performance puts a unique spin on a treasured classic, and served as the inspiration for the exciting new line of Audible Signature Classics, including Adventures of Huckleberry Finn with Elijah Wood, and Heart of Darkness with Kenneth Branagh. Tim Curry performs this timeless holiday story in a deliciously dark tone, returning it to its Dickensian roots with a vivid imagining of Victorian London and just the right touch of outrageous fun. This was the Advent and Christmastide selection for Apostles Reads. I have a book confession. I have never read a single one of Dickens' novels, including the classic-of-all-Christmas classics, A Christmas Carol. What better time to repent of my reading transgressions than the start of our third year reading together? Brian and I “read” this title via audiobook on our drive to celebrate Christmas in Texas with our kids. We loved Tim Curry as our narrator! Highly recommend reading, listening, and watching this story as long as we live with Christmases Yet To Come. “Celebrated author Ellen Gilchrist has played many roles-writer and speaker, wife and lover, mother and grandmother. But she never tackled the role of teacher. Offered the opportunity to teach creative writing at the University of Arkansas, she took up the challenge and ventured into unknown territory. In the process of teaching more than two hundred students since her first class in 2000, she has found inspiration in their lives and ambitions and in the challenge of conveying to them the lessons she has learned from living and writing. The Writing Life brings together fifty essays and vignettes centered on the transforming magic of literature and the teaching and writing of it. A portion of the collection discusses the delicate balance between an artistic life and family commitments, especially the daily pressures and frequent compromises faced by a young mother. Gilchrist next focuses on the process of writing itself with essays ranging from "How I Wrote a Book of Short Stories in Three Months" to "Why Is Rewriting so Hard?" Micro Review: Simple, enjoyable essays on the life of a woman and a writer. I especially appreciated Ms. Gilchrist’s insights to what it means to look back on her life as a someone who was and still is both a mother and a writer. “Poetry has always been a central element of Christian spirituality and is increasingly used in worship, in pastoral services and guided meditation. In Sounding the Seasons, Cambridge poet, priest and singer-songwriter Malcolm Guite transforms seventy lectionary readings into lucid, inspiring poems, for use in regular worship, seasonal services, meditative reading or on retreat. Micro Review: I refer to Malcolm Guite’s sonnets as closely as I do to any other theologian I read and was delighted to introduce his work to our church’s reading group last year. In the collection Sounding the Seasons: Seventy Sonnets for the Christian Year, Guite turns 70 lectionary readings into beautiful, poignant spiritual reflections. We read through this book as a companion to all our reading during 2018, reading several aloud each time we gathered. As a bonus, we grew in our understanding and appreciation for the sonnet as a classic poetic form. “Although the sacramental Rite of Reconciliation is included in many Anglican prayer books, nothing has been written expressly Anglicans since the 1980s that focuses on the pastoral skills required for this ministry. This book combines and passes on the teaching, coaching, skill development, and accumulated pastoral wisdom that has not been widely accessible or well integrated into clergy training. Micro Review: I read Go In Peace as part of my spiritual direction certification requirements. It will end up being in the top five of my favorites from the course. While various denominations practice giving and receiving confession in community in a variety of ways, Gatta and Smith provide theological insight and encouragement for all of us to embrace this means of grace for wholeness and intimacy with God, each other, and ourselves. If you care about participating in a healthy church, I recommend this book. Micro Review: I’d heard so often from people who enjoyed this book and finally read it during my Ordinary Time blog series, Work Stories. I inhaled the brief, but profound book. I need to buy my own copy since I’d borrowed the one I read from the library and couldn’t underline or bookmark anything. Highly recomend. Micro Review: Our small group at church finished this, the third and final title in James Bryan Smith’s Apprentice series. I’m still impressed not only with the author's substantive, but accessible, theological insight, but also with his gracious tone and impeccable recommendations for spiritual practices to make each theological truth about what it means to live in church community root itself deeply in our hearts. Highly recommend - especially for group reading! Micro Review: I borrowed this book from my friend Walter (hope he doesn’t mind I’ve had it so long!). During this cultural conversation about minimalism, I recommend reading Foster’s classic word on the subject guide your theology and practices. Micro Review: Of the dozens of titles I’ve been assigned to read for my spiritual direction certification, The Deeper Journey is my favorite by a large margin. Those of you who know us, know that Brian and I have relentlessly pursued freedom and healing to live from our truest selves - that part of us imagined and designed by our Creator God. We’ve learned from many good teachers on the subject, but Mulholland seems to synthesize the essence of the theology of our human identity redeemed by Christ’s life, death, and resurrection. He writes with depth but not dryness, hope for all but not patronizing of the reader’s experience, and truth but not theological imprecision. Read this book. “In the tradition of Kathleen Norris, Terry Tempest Williams, and Thomas Merton, The Solace of Fierce Landscapes explores the impulse that has drawn seekers into the wilderness for centuries and offers eloquent testimony to the healing power of mountain silence and desert indifference. Micro Review: In The Solace of Fierce Landscapes, author Belden C. Lane creates a physical setting of desert for the spiritual work that takes place when we seek a holy detachment from all of the distractions created by external circumstances of our everyday life. Lane repeatedly warns against the temptation to romanticize the monastic work done in silence and solitude. Referring to the desert as a “geography of abandonment”, sets the stage as the place “where one confronts one’s inevitable loss of control, the inadequacy of language, the spectre of one’s own demise.” Lane posits that only in the poverty that comes with an exchange of self-determination for a holy indifference can the seeker can find the “naked intent” of prayer. In that prayer, we know our truest desire only as we release it to the control of a God we may or may not be able to see or hear. The end result of this kind of surrender, according to Lane, is the prized fruit of love. I especially enjoyed this book since the author weaves throughout his experience visiting the Monastery of Christ in the Desert which Brian and I visited during our road trip to New Mexico back in our own desert season of 2015. “This nostalgic recollection of Christmas past by celebrated Welsh poet Dylan Thomas evokes the beauty and tradition of the season at every turn: the warmth of a family gathering; the loveliness of a mistletoe-decked home; the predictability of cats by the fire; the mischief and fun of children left to their own devices; and the sheer delight of gifts--be they Useful or Useless. Readers will cherish this beautiful hardcover edition of the classic A Child's Christmas in Wales complete with gold-foil stars, a debossed, glossy front picture, and sparkling snowflakes. Once inside, readers are rewarded with stunning, midnight-blue endpapers sprinkled with a flurry of more snowflakes. This book is a must-have gift for the season. Micro Review: Always and forever a must-read for me at Christmastime. If you visit me during Christmas, I’ll probably force you to listen to me read it out loud. Be warned. Micro Review: A sweet, if silly, tale of the imagined origins of that now ubiquitous carol “The Twelve Days of Christmas”. Suspend disbelief and enjoy the zealous courtship of the “true love” for a rather distracted, disinterested young woman. The best treat for the reader is the glimpse into 16th-century (?) England Christmas traditions, carols, and village life. Micro Review: A graphic novel may be the best format for me to dive into this story that I would otherwise know nothing. Yes, I’m generally aware of Mandela’s legacy and the evils of apartheid, but this story fleshes out in a fuller dimension a few of the historical figures and their opposing movements. Take a chance on the illustrated format and read this book. Then pass it along. We need these stories, and I’m so grateful to Plough Publishing for getting them into our hands. Go to my reading lists page to see my reading lists from 2018 and previous years. Our book discussion for Robert Farrar Capon’s Supper of the Lamb included a potluck feast of his recipes. 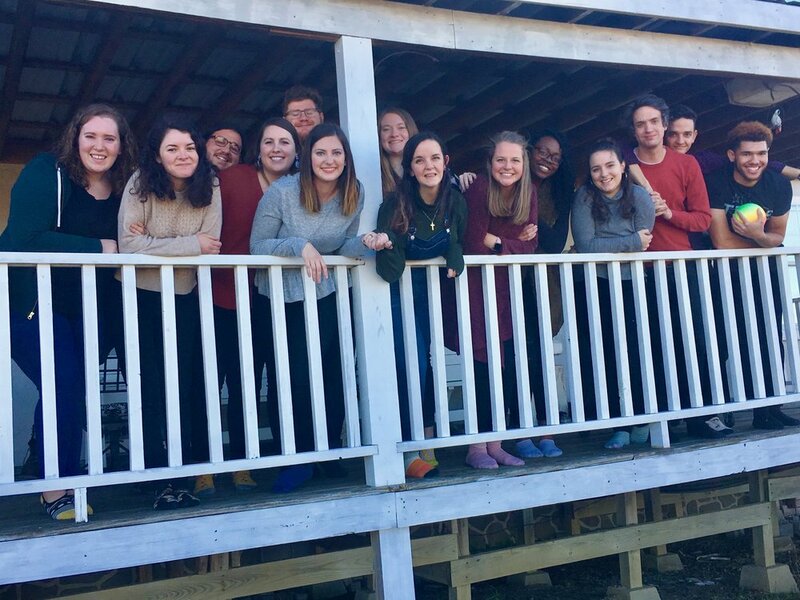 In 2016, when I read the wonderful Reading for the Common Good: How Books Help Our Neighborhoods and Churches Flourish by C. Christopher Smith, I was at the same time preparing to move to a new state and minister within a new church family. Brian and I felt strongly that our role as the new Rector and wife needed to be first as guests in a place that, while new to us, was a community where, within and without Church of the Apostles, Christ's kingdom was alive and active. 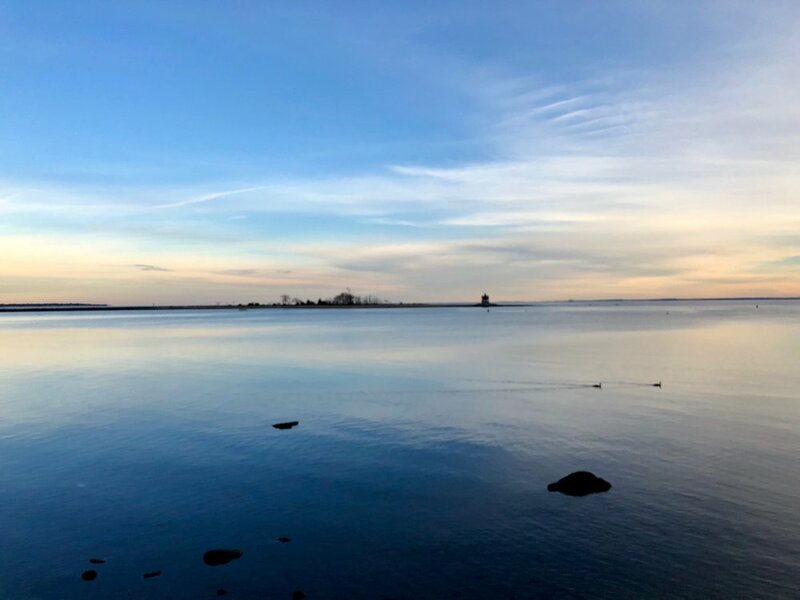 We wanted to enter with an appropriate curiosity to the stories of life, love, and loss in southwest Connecticut. At the same time, we knew we'd need to cultivate conversations that would help us find kindred spirits. It's this sort of solution that Reading for the Common Good helped me imagine. 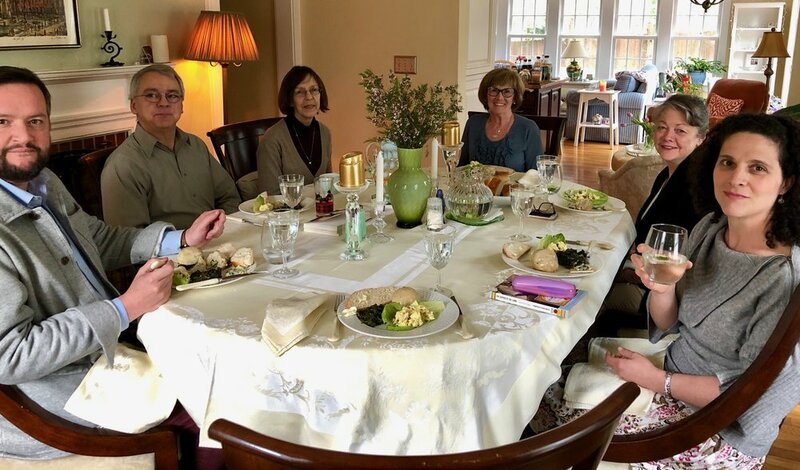 While reading and discussing a wide range of excellent books wasn't the only way I began to build relationships in Fairfield County, it certainly was one of the most delightful. My husband gets a lot of credit for trusting my idea (as he's done so many times in the last 28 years). From the broad idea for churches to read good books together generated in Reading for the Common Good, I customized the details to fit our needs and context. For one thing, we've added a liturgical slant - reading one book per liturgical season informed by the broad themes of each season. Our very first book to read together for Advent 2016, we read Shusaku Endo's Silence (which prompted a somewhat unintentional group initiation!) and then swung to the verbose and jubilant essays and poems of G. K. Chesterton for Christmastide. That's a kind of intellectual athleticism (and maybe gracious response to the new Rector's wife) only the most open-minded readers embrace. Another bonus has been getting to know each other better. 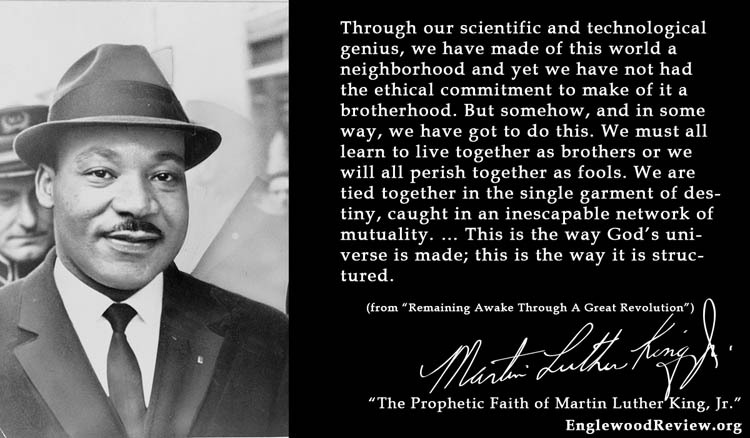 On more than one occasion I've been astonished to hear the bits and pieces of life stories that intersect with our book themes - like the lovely woman who mentioned in a sort of "oh by the way" comment during last Lent’s discussion of MLK's Where Do We Go From Here: Chaos or Community? that she'd worked for the LBJ administration and witnessed first-hand the Poor People's March on Washington the same year as the assassination of Dr. King; another shared privately that she'd protested with the pacifist priest Daniel Berrigan. I'll admit to a bit of jaw-dropping since both of those scenarios are a long way from the conservative church circles in an area that includes some of the nation's top-earning zip codes. I'm happy to look back on our second year reading together and see that the Apostles Reads group has been up to the challenge. From the true and devastating accounts of one lawyer’s campaign to free the wrongfully imprisoned in Just Mercy to the bittersweet fictional tale of a lonely college rad roaming the streets of Chicago with a basketball and a fantastical pet dog in Chicago to the relentlessly shocking characters in Flannery O’Connor’s deep South and more, this little reading community has responded to each title with grace, humility, empathy, and intellectual curiosity. I’m honored to be among them. Many of our titles will be selected from what's widely understood as classic books or authors, whether that's in a technical or colloquial sense. Many of our titles will be selected from books and authors that have been awarded for their literary merit within the larger publishing arena. While we love new books and encourage each other to be aware of good books that have been newly released, for the sake of growing in our understanding of the context in which we live, worship, and work we'll veer toward older, established works rather than newer releases. All of our books will acknowledge the reality of common grace, most will carry implicit theological themes, a couple will be based on explicit theological themes. 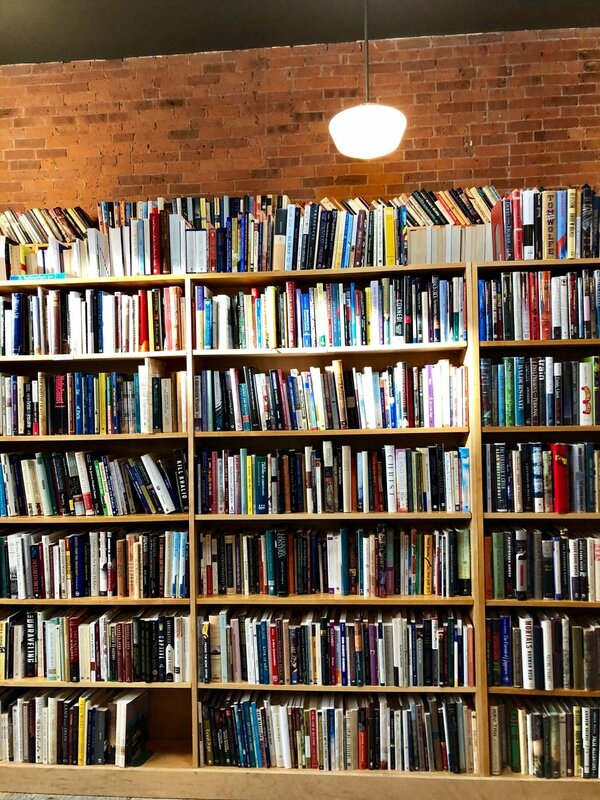 We value all genres of literature and will work toward including a noticeable variety of fiction, nonfiction, poetry, short story, biography, and essays each year. We value reading outside of our tradition as a form of hospitality toward people, places, and customs different than our own experience. We value literacy for all ages and will, once or twice a year, read something that is suitable for all ages. I thought you might enjoy seeing the titles we chose and a few notes from our discussions. I'd also love to hear any suggestions you have for our future reading. I was excited to introduce our group to the work of one my favorite contemporary, liturgical poets, Malcolm Guite. In the collection Sounding the Seasons: Seventy Sonnets for the Christian Year, he turns 70 lectionary readings into beautiful, poignant spiritual reflections. We read through this book as a companion to all our reading during 2018, reading several aloud each time we gathered. As a bonus, we grew in our understanding and appreciation for the sonnet as a classic poetic form. For Advent and Christmastide, I chose a timeless favorite from my family: The Best Christmas Pageant Ever by Barbara Robinson. To judge the book by the cover only, one might think this title is for children alone. Don’t let this little 128-page treasure fool you. Like any well-told story, the story of a congregation making space for "the worst kids in the world" to join their annual Christmas pageant is powerful in its child-like simplicity. And such is the kingdom of Heaven, yes? Our get-together was delightful. 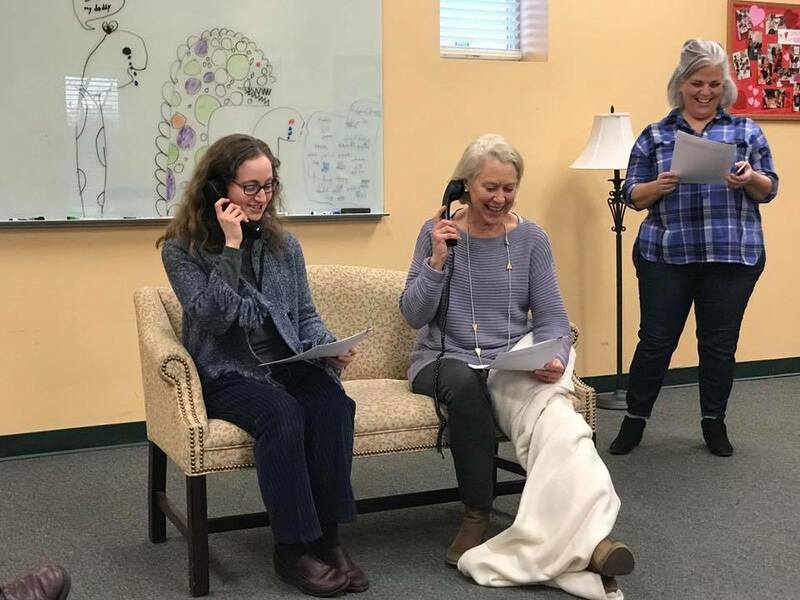 We ranged from preschooler to senior citizen, and pulled off our own little improv/reader’s theater of one of the scenes as well as some pretty great rounds of Pictionary using key words and phrases from Malcolm Guite’s sonnets. As always, the kids’ literary comprehension blew us away. This is the rare kind of book that both adults and children find both hilarious and heartwarming. Recommended reading for everyone, every year! I read this novel for the first time in 2017 after hearing that the Catholic author had died a premature death to brain cancer. For some reason, I hadn't heard of him before then and spent the next several months trying to rectify that error. The novel Chicago is sweet, imaginative, funny, and full of grace. During Epiphany we celebrate the Christ who came to live and work among us, or as in Eugene Peterson's paraphrase, “moved into the neighborhood”. Also, I'm going to tell you right now: Edward is one of my favorite book characters of all time, and he's encouraged me to like our dog Leo a lot more than I actually do. We prayerfully began our next book Just Mercy by Bryan Stevenson during Lent. I first began hearing about this book a couple of years ago, and gave it to my daughter-in-law who was, at the time, studying criminal psychology and recidivism at her university. On her recommendation, I added the book to my to-read list but it was the encouragement of one of our group members that finally got me to begin reading this difficult subject. After we read Dr. King's book together our first Lent (2017), Walter Wittwer handed me a book and said, "You should read this." He'd handed me his own underlined copy of Just Mercy, and because I respect his advice and am grateful for his experience ministering within the prison system, I finally started reading. I was grateful to be able to read the difficult, but beautiful stories along with a community of friends. The Supper of the Lamb: A Culinary Reflection by Robert Farrar Capon may be my all-time favorite food-related book. Certainly, it's my favorite food/theology book, as should be any reflection that turns chopping an ordinary onion into an act of worship. During the Great Fifty Days of Eastertide, we celebrate all the foretastes of the eternal kingdom that grace our lives right now. Nothing points us more to the jubilee of that day than the act of feasting and no one argues more passionately for that act than Capon. We enjoyed the discussion around a potluck feast of our own with recipes made from the book. Alleluia, Alleluia, Alleluia! Brian selected Kingdom Calling: Vocational Stewardship for the Common Good by Amy L. Sherman. During Pentecost we celebrate the power of the Holy Spirit to equip each one of us to live out the gospel. One key way we get to do this is through our work, and this book helps us explore the intersection of faith and work. 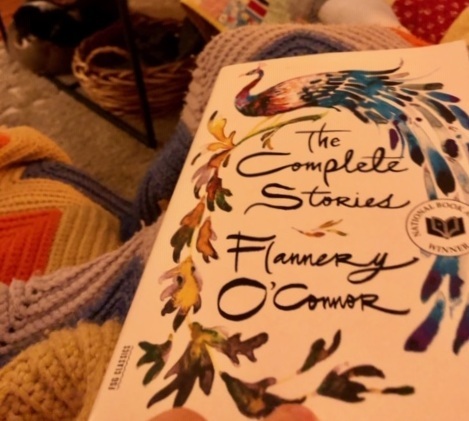 It took me two years to have the courage to assign Flannery O'Connor - which is a pretty big statement since we started our group with the novel Silence! It helped that a few of our group mentioned having already read some of O’Connor’s work and that they were looking forward to reading more. I first read O'Connor's fiction after seeing her name mentioned over and over again by artists and theologians whose work I admired. I was not prepared for what I read, but I knew I wanted to better understand the perspective on faith that colors Flannery O'Connor's short stories with equal parts biting wit, naked observation of the depravity of humans, and tiny - sometimes minuscule - glimpses of a divine grace. To be honest, I didn't really start appreciating her work until I read some of her non-fiction. I needed to understand a bit more about her own life to better understand what colored her fictional imagination. For this reason, I kept our reading selection somewhat open. I recommended the anthology of her short stories, The Complete Stories , so that group members could pick and choose the titles that most catch their attention. I also recommended The Habit of Being: Letters of Flannery O’Connor or Mystery and Manners: Occasional Prose for those who wanted to supplement the short stories with some of O’Connor’s non-fiction. Here's a brief review I shared after reading The Habit of Being that unpacks a bit more the tension of paradigm shifting I experienced from Flannery O'Connor's writing. Here's the list of books we've read so far this liturgical year, and the ones we're (tentatively) planning to read for 2019. Any suggestions? Also, if you could invite your church to join you in reading one book for this year (with the above criteria), what would YOU choose? “On this day Thou hast appeared unto the whole world, and Thy light, O Sovereign Lord, is signed on us who sing Thy praise and chant with knowledge: Thou hast now come, Thou hast appeared, O Thou Light unappproachable. They offer a perfect lens through which to view the [icons seen here]. Sunday Scripture readings are taken from the Revised Common Lectionary (Year C). Daily Scripture readings are taken from the Book of Common Prayer (Year 1). During Epiphany we remember Jesus’ baptism and it’s a good season to renew our own baptism vows -- whether in your corporate worship service or in your family and personal prayer time. May I recommend this post from my son's baptism? It includes the Anglican baptism liturgy, but applicable for all followers of Christ. Or you can be brave and join the Eastern Europeans: Icy dip: Russians plunge into freezing waters on Epiphany, Brave Muscovites plunge icy waters to celebrate Epiphany, and Putin takes traditional Epiphany dip in icy lake . You can read here for a brief description of the liturgical season of Epiphany, and see previous Epiphany daybook 2018 posts here. Arise, shine, for your light has come, and the glory of the Lord has risen upon you. For behold, darkness shall cover the earth, and thick darkness the peoples; but the Lord will arise upon you, and his glory will be seen upon you. And nations shall come to your light, and kings to the brightness of your rising. Read or listen to a performance of T. S. Eliot’s” The Journey of the Magi”. If you’re an Alec Guiness fan, you can’t go wrong with this version (which includes the text). Here’s a dramatic reading I found compelling. Here’s a quality version performed by Denis Adide and shot in locations around Bristol. 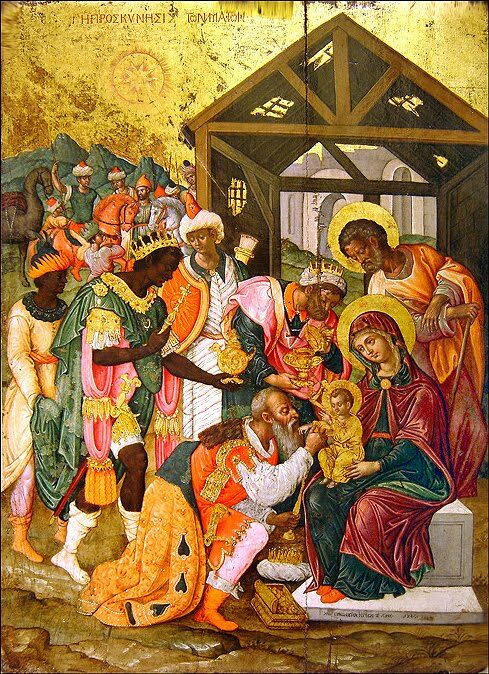 You can find other activities for Epiphany at this post: 12+ Ways To Keep Celebrating With the Rest of the World (loads of links).